I am privileged to chair an ethics committee of a hospital and it reinforced in me that in order to determine what is or is not ethical we do have to do some critical thinking. In watching TV documentaries about animals, I am constantly made aware that there are certain intrinsic similarities between humans and the rest of living things. A good example is found in the way motherly instincts are expressed in both worlds. That said, however, there are many behavioural differences that transcend the power of instincts. I can’t imagine a pack of hungry lions deciding not to attack a stray buffalo simply because they feel sorry for the off-springs of its prospective prey. The claim that an unexamined life is not worth living, often attributed to Socrates, a critical philosopher of the 5th Century, is subject to many varied interpretations. Whatever the interpretation, it assumes that we are capable of examining our life by means of logical deduction and making choices among options generated by our minds. It is this capability that distinguishes us from the animal world. The unexamined life is therefore life without critical and analytical thought, or simply a thoughtless life. And that kind of life is driven only by instincts for survival at all cost and reduces it to the same level as an animal life. It is therefore not worth living in that is it not true to its humanity or humanness. An unexamined life is therefore incapable of experiencing a fully meaningful life driven by discernment and wisdom. An examined life, on the other hand, is simply a “thoughtful” life in that minimally, we give some thoughts to whatever actions we choose to take before we take them. At another level, the idea of a examined life drives me to live reflectively. To reflect is to fix my thoughts on something. The result of that process is self-generating in that it in turn produces a thought or two of its own as a result. I started to do that as a matter of habit and soon I collected enough thoughts to write a number of short essays of my reflections. 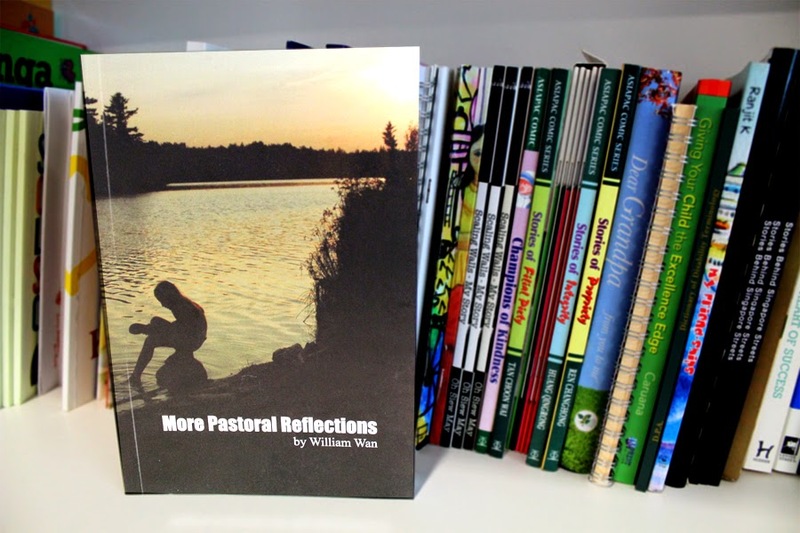 These were eventually published into two books titled Pastoral Reflections and More Pastoral Reflections. 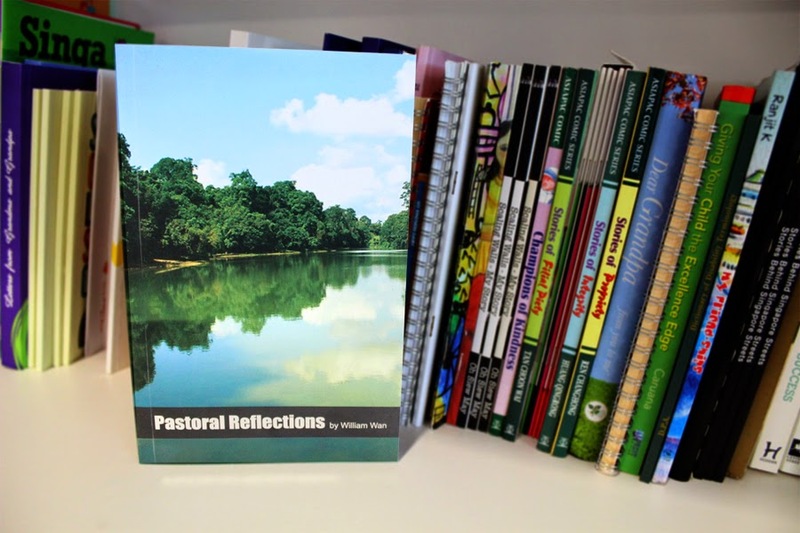 Pastoral Reflections contains 31 essays and was published in 2010. The proceeds of the first edition was dedicated to support the work of an early intervention centre for children with intellectual challenges in Malaysia. Because it was well-received, I published another 40 essays in 2012 which I simply titled More Pastoral Reflections. A significant portion of the proceeds was also given to support the work of Prison Fellowship Singapore which I chair. I must confess that writing these reflections is more an act of enlightened self-interest in the first instance. I derived great benefit for myself in seeking to live an examined life by reflecting on everyday ordinary things I experienced. There is great pleasure in being able to generate useful thoughts and lessons from simple observations and reflections on the things I hear, see, touch or feel. These include my thoughts on the life of an ant on a golf course to my encounter with a large hairy camel in the Gobi desert. Natural phenomenon like lightning and sunrise fascinate me and they provide me food for thought. Some things I read in the papers or books jump up at me and cause me to think a little more about the meaning of life, suffering and death. Above all, these reflections reinforce in me the importance of faith in moral values and the intangibles - in God and humanity. By recording my thoughts, I experience the truth that an examined life is truly worth living. One of my friends wrote in the introduction to my second volume that I have written these to “light up the mind, strengthen the heart, and refresh the soul of the reader.” I am grateful for his lofty assessment and I will simply say that the very act of reflecting on these things, light up my own mind, strengthen my own heart and refresh my own soul. These reflections did something wonderful to me before I dare hope that it will do something equally wonderful for my readers. Going forward, I will be sharing an abridged version of these reflections with you on this blog with the hope that you will be blessed by them. This is very encouraging ..:) Thank you Dr William.